We have 4 children of our own and know just how expensive parties can get. 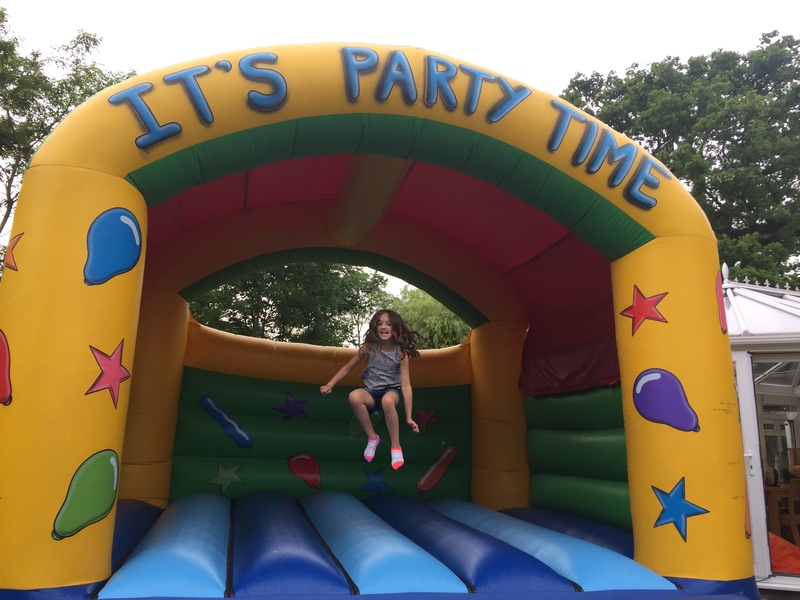 Whether its a 3 year old's party or a 50th wedding anniversary, at this time of year everything takes place inside (unless you are really lucky with the weather) and costs more as a consequence. So to keep the costs down a little, we are running a promotion for indoor parties only. You can choose from any of our castles, large or small and rent it for 3 hours for only £45. 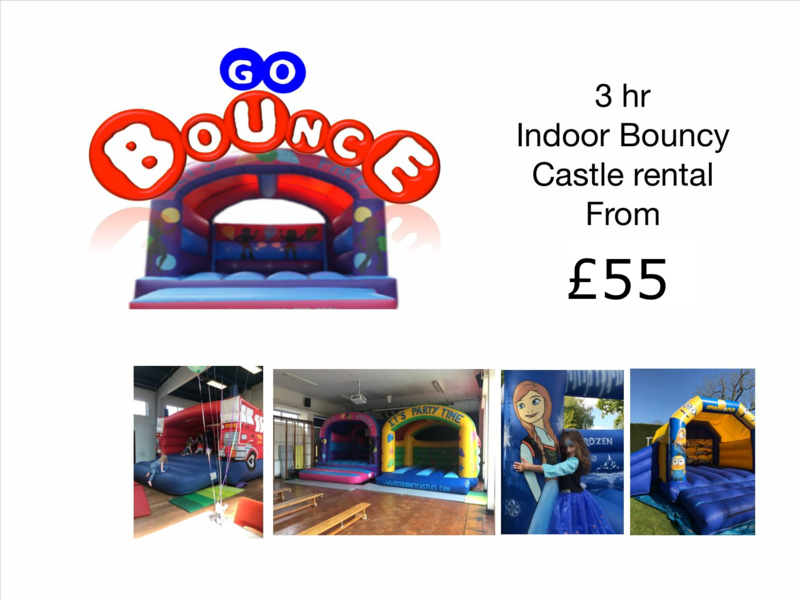 Make your celebration 'go with a bounce' and save up to £30 on the cost of one of our castles at Go Bounce in Burgess Hill. Please note, not all halls are big enough to house our castles. Kindly bear this in mind when booking your castle. We use local halls frequently and can, if you would like, recommend venues where you could hold your event.